Day and date with Japanese release. 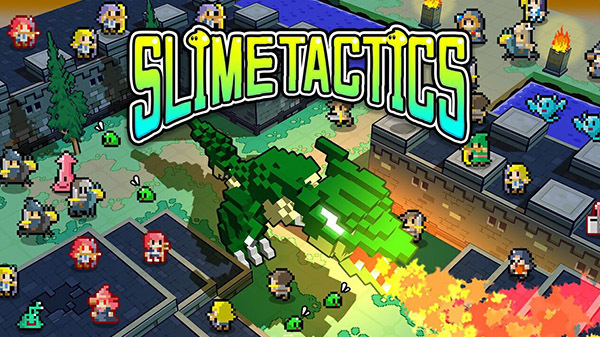 Slime Tactics will launch for Switch via the Nintendo eShop in the west on April 11, day and date with its Japanese release, for $9.99 / €9.99 publisher Flyhigh Works and developer Altair Works announced. A successor to Ambition of the Slimes, this is a real time strategy game in which you control and lead the ‘weakest’ units in gaming—Slimes. Your task is to take these slimes and make them a powerful army! Slime Tacticss offers real time strategy battles with a difference; there are various slime types to master, all with their own unique skills and characteristics. With smart strategy you can conquer the most deadly of enemies!